“Stroke of the pen” reform is critical as in many cases policy is dastardly and change is laggardly. The essential element is to find that big-ticket item that can have impact on a scale and at a pace that is needed. I believe Union environment and forests minister Jairam Ramesh’s letter addressed to all chief ministers clarifying that bamboo is indeed a grass and not timber, is such an item. I have already written about why bamboo should be treated as a grass (see ‘Is bamboo a tree or a grass?’, Down To Earth, December 1-15, 2010). It grows like a weed and because of its high productivity and versatility of uses it has the potential of creating huge economic wealth. So if you can put bamboo in the hands of the people, to grow, to harvest and to add value, you put wealth in their hands. But policy was reluctant to make this change. The Indian Forest Act had over time categorised bamboo as timber, which meant the forest department had the monopoly over it. Those who grew bamboo in their backyard could not harvest or sell this productive grass without a number of permissions from the forest department. Today as Anna Hazare’s movement against corruption takes the country by storm, we must make the connection. It is cumbersome policy that creates opportunities for corruption and harassment. It is policy that must be reformed. In this case, ordinary people in villages and in forests got permission to cut their bamboo only after they had greased many palms and fought many battles. In most states a tree owner needs a “transit pass” to cut bamboo. To get the transit pass a tree owner would have to obtain revenue records and then apply to the collector or the forest department for permission to cut. It would take up to 10 different departmental permissions and many visits to “headquarters”. So the way out is to find a well-heeled and connected contractor who can pay his way through the system and facilitate the transaction. In all this, the person who grows the tree gets shortchanged. There is no incentive to use trees or grass as an income-generating activity. Nobody grows trees. The environment loses. This could change now. Ramesh’s letter makes it clear that the Forest Rights Act has changed the legal regime governing bamboo. This Act, passed in 2006, has “vested the right of ownership, access to collect, use and dispose of minor forest product” (MFP) with tribals and other traditional forest dwellers. It has also defined bamboo as an MFP. The letter asks the chief ministers to direct their forest administration to treat bamboo as MFP and to “respect the rights accrued to communities”. A lot more will have to be done to ensure bamboo is indeed treated as a grass. Ultimately, it is the change in governance systems that will alter the way we do business with our people and our environment. Anil Agarwal, the founder editor of Down To Earth, had said that unless we promote governance systems based on public participation and transparency we would not get rid of corruption. It is this governance system that will now have to be worked on so that it facilitates empowerment of people, but checks graft and over-extraction. The minister’s letter takes a bold step in this direction by saying that the gram sabha (village assembly) will have the right to issue transit passes for bamboo grown in forests where community rights have been declared or on private land. We need administrative systems to ensure this permission does not fall into hands that will destroy forests. But all said this is the beginning of a big-ticket reform. Just consider the potential. The Indian paper industry needs massive quantities of raw material and bamboo is the best pulping material. Over the years, with bamboo defined as timber, industry and forest departments have worked on contractual arrangements to make bamboo and other wood available to industry at throwaway prices. Large parts of forests have been leased to the industry. This has led to deforestation and, in turn, a crippling shortage of raw material for the industry. More importantly, this policy has ended up discounting the value of trees grown by farmers. Our analysis shows India needs 1.5 million hectares of tree-bamboo land to supply raw material to the paper and pulp industry. Now industry can source this from small landholders or villagers with community forest rights. It will have to pay the market value, which will increase its cost of raw material marginally. But at the same time, this buyer-seller relationship will put money directly in the hands of people, reducing need for development assistance, which also comes at a high transactional cost. 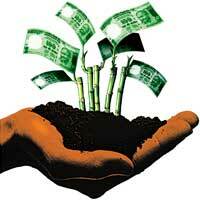 Growing trees can be a business for growth. I call this big-ticket because this single move can rid economies of the growth-without-jobs syndrome. This is the new green growth model the world is desperately seeking—creating opportunities to build economic wealth from regeneration of forests, and more importantly, creating inclusive and equitable wealth and wellbeing. Bamboo in the forest and in the hands of people is about that big reform for a green tomorrow. Let’s hope we grab the potential. I suggest that instead of making consumer items from bamboo for rich people, we should use bamboo in construction of solar cookers and solar concentrators. Please look my domestic parabolic solar cooker in my website. If you study it, you will find that steel strips, steel rods and hollow box pipes can be easily replaced by a bamboo and ratan and so entire solar cooker can be made of bamboo products. If you can successfully make use of bamboo in solar cooker, it will be far cheaper then steel and you will get lot of orders of domestic parabolic solar cookers. Please note that at least 5 crores of such solar cookers can be sold in villages of India. If any engineer visits me, I can explain him how to use bamboo or ratan to make parabolic solar cookers. By using bamboo, price of solar cooker can be reduced considerably. Then people in villages will understand how to make it and making a solar cooker will become a business in every village and such cheap solar cookers made in villages will be sold in cities also. Even you can get very big export market also. Somewhat bigger challenge of using bamboo will be in construction of large solar concentrators from 64 to 90 sq mt. The supporting frame of this concentrator is 11 mt x 11 mt which is revolving on a single vertical pillar . At present I am using hollow box tube of 50 mm x 50 mm to make various beams to make complete frame of the concentrator. Our 11 mt x 11 mt sq frame of the concentrator has to bear the weight of 750 kg equally distributed everywhere. So 1.5 kg per mirror. The purpose is to construct a rigid frame which will support about 500 mirrors of 90 cm x 20 cm. If it can be made by bamboo's then there will be revolution in solar thermal energy. In any small solar thermal power plant, 60% cost is construction of rigid frame revolving on vertical pillar. If this can be made cheaper by bamboo's then there will be revolution in solar power plants, which will become more viable with less investments and it will compete with coal based giant thermal power plants. So you should seriously think to make use of bamboo's in construction of domestic parabolic solar cookers, small community parabolic solar cookers and also in making large solar concentrators for power generation. "Now industry can source this from small landholders or villagers with community forest rights. It will have to pay the market value, which will increase its cost of raw material marginally." But the cost of the finished product will go up significantly. However, this is one instance where that might actually be a good thing. Years ago, in the days of cyclostyling, bond paper was expensive, and its use was restricted. Subsequently, copiers became uniquitous, and today incredible amounts of first quality paper are being wasted. It would be a good thing if paper became really expensive once again, so that it would be used less profligately, and replaced by electronic communication; less pollution, much more sustainable. I have been advocating for almost two decades that involvement of forest dependant communities in forest conservation can only be ensured if they see some benefit accruing to them for their effort. One way of doing this is to give them a greater stake in the resources they protect - mainly the NTFPs. The removal of bamboo from the definition of 'timber' and its inclusion iamong the NTFPs is indeed a step in the right direction. Bamboo has always been considered by botanists as a grass and now it is 'legally' so as well! It is a use less law which is governing the movement of bamboo. Few years back we have one policy. Every gun who owns a radio or transistor should have a licence which has to be renewed every year. Present generations sure, they will laugh at it. Laws which governing the bamboo are such policies. It should be released from the cluthes of forest laws. U can have all restrictions, rules and regulations for the bamboo which lies in the forests. Why you are putting the restrictions for the bamboo which is lying in private lands? All restrictions to grow bamboo plantations, harvesting, transit to be removed immediately for the benefit of one and all. Many industries which are using bamboo as their raw material, are facing hell due to this old, unhealthy, useless, against growth policies. For example Agarbatti industries are facing such problems. U can make thousands of products with bamboo. China is world leader in such trading. We are far behind compared to China, even though we are number two in the world in bamboo forests after china. Corruption, illegal money and many more things are stopping to free the bamboo from the clutches of forest law. It should be freed and to be bring into horticulture division. It should be promoted by giving planting material, technology for cultivation. Bamboo based industries should be encouraged. One can built 100% bamboo houses for the needy at through way prices. U can produce build your house kits with bamboo. There are billion advantages. We have to change our policies in such a way, by protecting the existing bamboo forests from unauthorised veerappans and at the same time free the bamboo plantation to encourage private participation. Social Forestry Mission is essential for socio-economic development in village areas through BAMBOO GREEN CONCEPT. IN CLEAR WORDS. . . Looking to the deforestation govt. may put some restrictions on forest bamboo but it must be deregulated for those who do private plantation of any of these type of plants. But we have to find a solution of one problem . . . .
HOW CAN YOU DIFFERENTIATE BETWEEN A BAMBOO GROWN ON A PRIVATE LAND OR A GOVT LAND ??? Under social forestry project I am working with the noted Environmentalist Mr. S. M. Ghosh and Apccf Mr Rakesh Sinha, IFS in a joint venture project on PPP module. I personally feel that bamboo cultivation is more profitable business as compare to so many bio-energy crop and medicinal plants. You are absolutely correct that the village assembly should have the right to issue transit passes for cutting the mature grasses to encourage the economic growth in village level.Scaled reforestation through bamboo network can meet up our carbon mitigation target as well as bamboo houses can combat climate change against natural calamity. For interior decoration, furniture making, ceiling and partition,besides so many house hold items, bamboo is playing a vital role in our society. We can produce bio-gas from bamboo feedstock to produce energy in rural sector. Therefore, through bamboo cultivation not only we can think for reforestation but also we can think to earn carbon credit on CDM benefit. It is very rightly thought and written about monopoly and copywrite of Forest Departments of the Central Government or those of State Governments over bamboo and other trees. The policies have made our system which essentially or commercially or conveniently require or converts it into the 'inevitable-corrupt'. Anna Hazare's movement has provided much-required oppotunity to root out such policies due to which most of the government machinery including IAS, IPS and IFS personnel are enjoying the corruption with immunity of any accountability while on the other hand has alleniated the common man (sons of the soil) from the mainstream of the country. This has provided the growing grounds for naxalism. The condition of the tribes is worse than the ugliest creature on the earth (I am unable to find any better substitute word). The tribal people whom this land belongs have been made landless and pauper in this country. The rich people with the protection of law and under the garb of development, have cheated the local people, looted their ancestral and environmental property for their own selfish gains, have become richer and lords of the society. Reforms in the state policies for land, air, water and all other natural resources are essentially required to be put in place wherein peoples participation is must. Eletoral reforms are the first to be made people friendly and not the disgruntled-friendly. Where ever the problem existing, the solution is available there itself. Many plats/trees are under cultivation which are there in forests. Like teak, sandalwood, red sanders etc. When this plants are grown up in plains, why cant bamboo? Its not at all a issue. Are you aware that there is a subsidy for cultivation of redsanders and sandalwood. Compared to bamboo there value is very high. Why it has to be under control? Let them keep it under contorl. It should be allowed to harvest and transit with out any questions. Then, many people come forward. to cultivate. As the agri consultants. we know the potency of bamboo. It should be brought into the puuview of either horticulture or agriculture departments of the state. It should be encourged by providing quality inputs. Let them free it. Everything happens in rocket speed. As I commented in your earlier article on bamboo, being a science student, I have been taught that bamboo is one of the fastest growing grass. I dont understand why forest rules should be against science. Anyway, the decision has come at very right time. With huge potential for biomass, the act now can pave way for decentralized power generation. From my studies and understanding, bamboo is better alternative for generating energy then any currently available bio-fuel. Bamboo is multipurpose i.e. firewood at home, gassifier in biomass power generator, pulp in paper industry, construction material and decorative material. An NGO, ARTI Pune has developed a good technique for increasing self life of bamboo in outdoor environment. With this, since bamboo is several times strong and flexible, than steel in weight-to-weight terms, bamboo use can go a long way in conserving forests by replacing costly timber. Hats off to all our environmentalists and people fighting for the cause of bamboo for so many years. Fight is not over yet, until it's included in horticulture or agriculture list; still, for whatever little progress we made with this proposed change, we need to now exploit the potential. I am doing agro forestry on my land for the past 32 years . I am facing the same problem of cutting and transport of bamboo from my farm. There are agents who have contacts everywhere in government , ensuring that money goes to them and not to the cultivator. They ask me to sell the Bamboo which is grown on 25 acres of riverside land at a throw away price . The system and rules are framed in such a way that i cannot cut and sale in big markets on my own without passing through the tehsildars and forest goons . All is well said in reports and ministers sayings but on ground evrything remains same. Waiting till the rules become more favourable .